Thorsten Beck, Professor of Banking and Finance at Cass Business School looks at the potential impact of Brexit on the British economy. If there is a vote in favour of Brexit, there would be an immediate impact on the financial markets, with quite some turmoil. Though, I think both market participants and central banks are better prepared than in 2008 at the onset of the Global Financial Crisis. We can expect the pound exchange rate to come under significant pressure, with possible knock-on effects also on the Euro. Safe haven currencies as the Swiss Franc, on the other hand, will most likely come under appreciation pressure, resulting in heavy interventions by the SNB. While I do not expect any immediate widespread financial fragility to come from such a shock, the high volatility will have negative repercussions for British, European and global capital markets. The effects on the real economy, on businesses in the UK, will come more slowly, but probably even heavier for the next two, three, four years, mostly due to a degree of uncertainty concerning the future relationship between the EU and the UK, then outside the EU. This uncertainty will definitely dampen investment and growth, with a non-significant probability of a recession later this or next year. A final impact will be on the long-run economic development of the UK. While economic growth is impacted by many factors and hard to predict, I share the wide consensus among economists that an exit of the UK from the common market will do long-term damage to the economic future of the UK, with negative repercussions for labour markets, innovation and exports. Quick wins in terms of additional trade opportunities or regulatory easing, as promised by the Leave campaign, seem quite illusory, as trade agreements take years to complete and most of the regulatory framework is not dictated by Brussels, but rather part of UK law and thus subject to the political process in the UK. 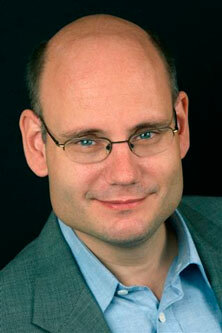 Thorsten Beck is Professor of Banking and Finance at Cass Business School.